With FUSION Locker Management System you can assign one or more individuals short term or permanent access to a given locker or secure box for the storage of personal articles or security sensitive documents. 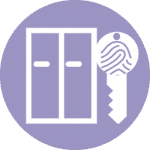 Access to the locker is gained by placing a finger on a fingerprint reader or using an access card. Your locker assignment will be displayed on the screen of the terminal. 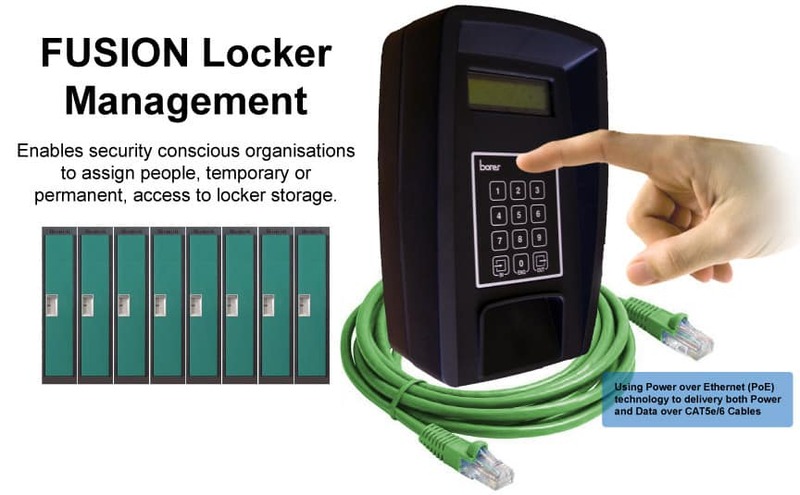 By integrating locker control, you save time in administering additional systems. You can also ensure that in an emergency the Locker Lock System can automatically prohibit locker access to speed up evacuation. Access to lockers can be pre-assigned, or for applications where the system management can be time consuming, the system can allocate the next free locker for you. This can work in 3 ways, automated day use, automated long term use or permanent long term use. This will allocate you a locker when you present your fingerprint to the biometric reader. The locker will then be assigned to you until you next present your fingerprint to the terminal. You will then be instructed to remove your items and the locker can be used by someone else! This mode is perfect for gymnasiums or leisure centres. This will allocate you a locker when you present your fingerprint to the biometric reader. The locker will then be assigned to you until you leave site. Once you have left site, your locker can then be used by someone else, and when you return to site you will have automatic access to the locker once again. This mode is perfect for staff change rooms. 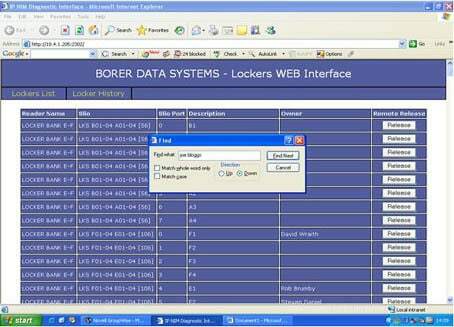 This allows the operator to permanently allocate a locker to a user. The locker will only be opened when the correct fingerprint is presented to the biometric reader. This mode is perfect for cash boxes, laptop store, delivery boxes etc.